What a great way to start 2016: Russian magazine OOPS! interviewed Daniel during the press junket day last year in promotion of Victor Frankenstein (Виктор Франкенштейн). 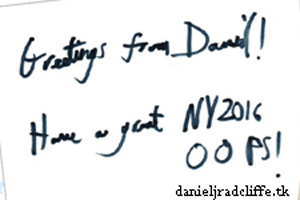 They also asked him to write a Happy New Year greeting. You can read his message, written to OOPS! magazine and their readers, below.